The road that left the main East Road a little to the west of the Three-Farthing Stone, leading to the village of Bywater from which it took its name. From there, it carried on to Hobbiton, where a traveller would turn right and cross a bridge across the Water to reach Hobbiton Hill and Bag End. The road itself carried on into the west, in the direction of Little Delving, though there is no evidence of it being called the 'Bywater Road' after it reached Hobbiton. The road was most famous as the site of the Battle of Bywater, which took place between its high, hedged banks near the junction with the main East Road. Encouraged by the returning Travellers, the Shire-hobbits trapped nearly a hundred of Sharkey's ruffians in the narrow lane. In the fight that followed, nearly seventy Men were killed in a victory that led ultimately to the freeing of the Shire from Sharkey's yoke. The hedges and banks of the southern part of the road apparently came to an end before it reached the village of Bywater itself. At least, there was a direct view of the Bywater Pool from the road, on a stretch known as Pool Side. From there, the road carried on to Hobbiton. Originally trees grew on either side of the Hobbiton stretch, but these were cut down during Sharkey's time (though they seem to have been replanted by Sam after the recovery of the Shire). 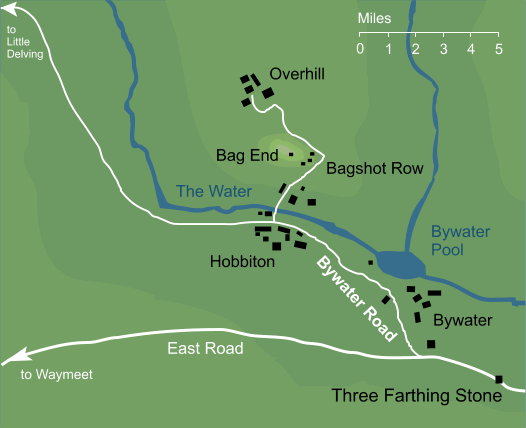 The name 'Bywater Road' is used for the entire stretch between the East Road junction and Hobbiton. However, the northern part (between Bywater and Hobbiton) is also sometimes referred to by a different name: as the Hobbiton Road.  Original content © copyright Mark Fisher 2002, 2005, 2006. All rights reserved. For conditions of reuse, see the Site FAQ.